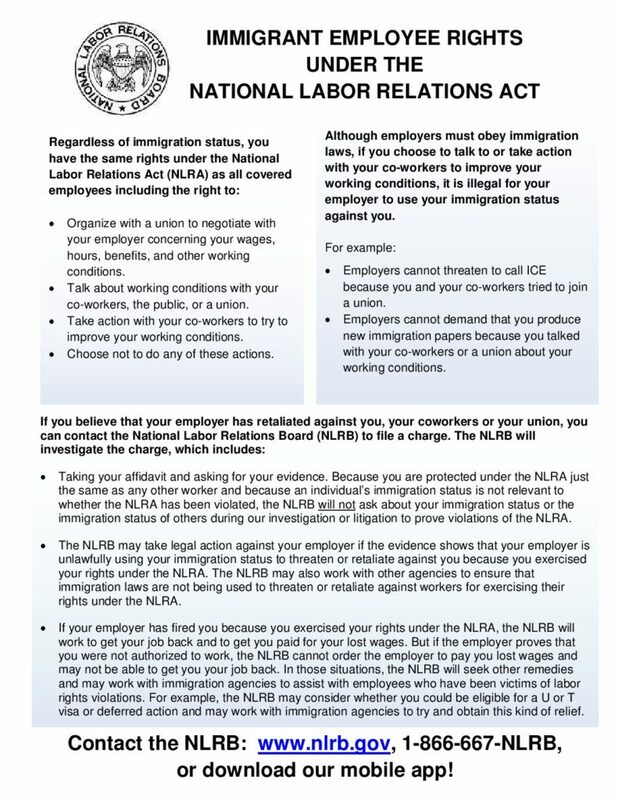 The document below from the National Labor Relations Board outlines the rights of international workers. If you think your right to a voice on the job may have been violated, you can get help filing charges with the NLRB from NUGW. Charges must be filed within six months of the alleged illegal conduct. The NLRB can order your employer to stop interfering with employee rights and to provide back pay or reverse any action against workers for their union activity.